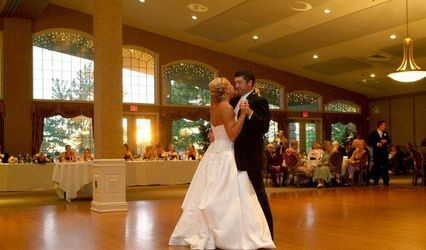 Deer Ridge Golf Club Event Center is a golf club with a banquet hall in the Cleveland, Ohio area. 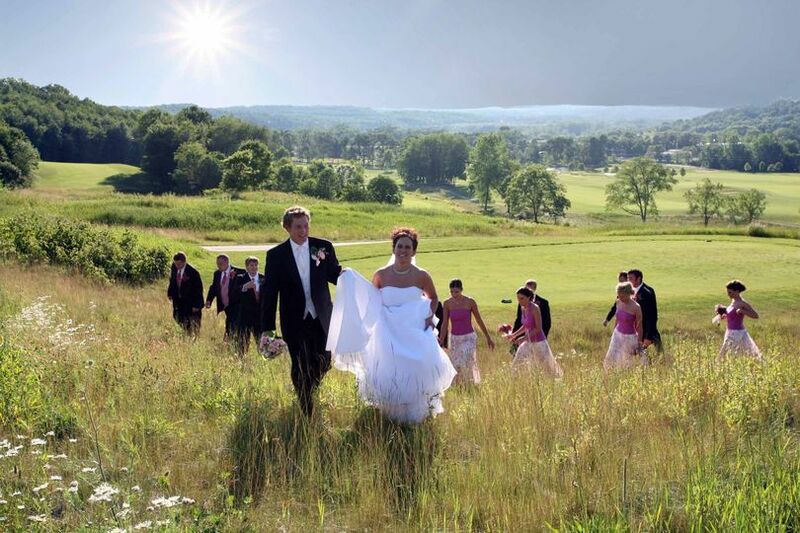 This country venue provides beautiful views of the golf course and surrounding valley; the perfect location for wedding pictures for couples. 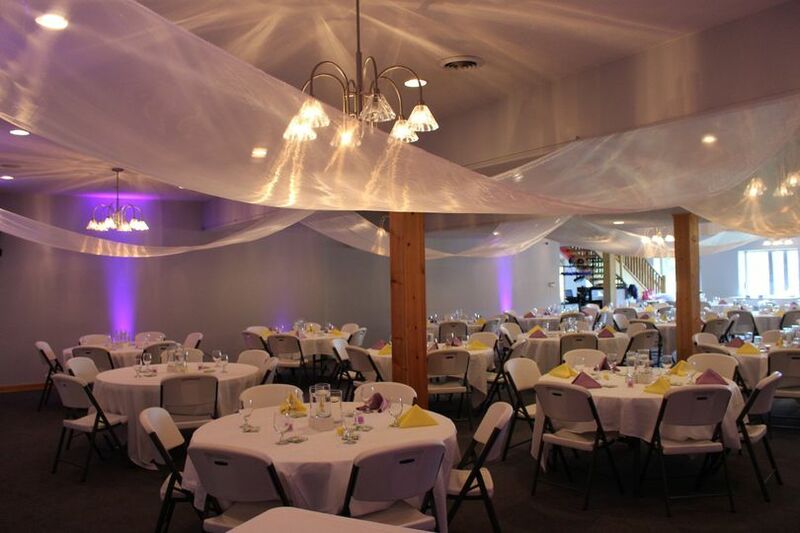 This venue sits 25 minutes from the Mohican-Memorial State Forest, a 90-minute drive from the Cleveland Hopkins International Airport. 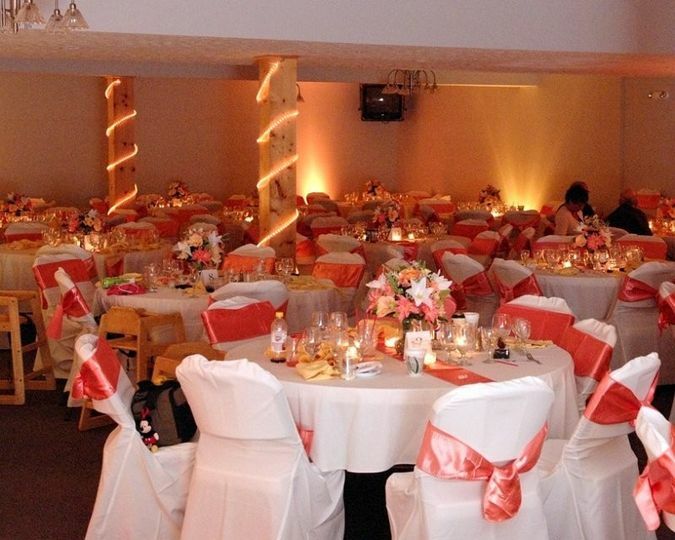 The banquet hall at this venue accommodates the maximum 240 wedding guests couples can invite to their wedding. 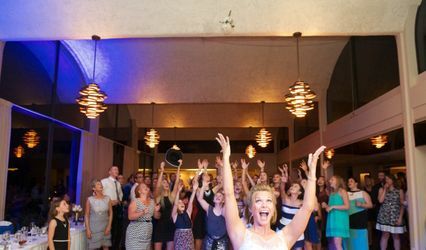 The Deer Ridge Golf Club Event Center’s banquet hall features columns of natural wood and windows overlooking the property. The loft space seats up to 35 guests and, under sloping ceilings, features a softer ambiance with glowing light reflecting off the surrounding wood. The back room, which welcomes up to 40 guests, has high ceilings, wooden walls and large windows. The clubhouse resembles a lode from the outside with wooden structure and green roofs, as well as a large stone chimney that rises over the top of the building. 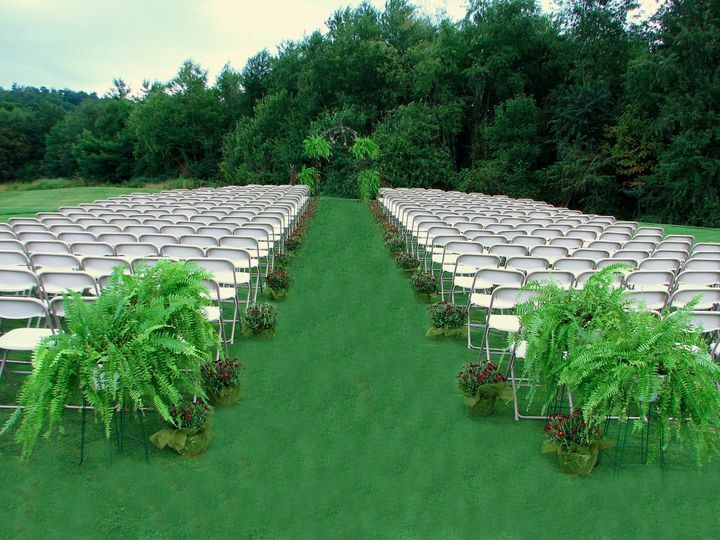 Outdoor ceremonies on the course highlight the surrounding greenery and lush vegetation. 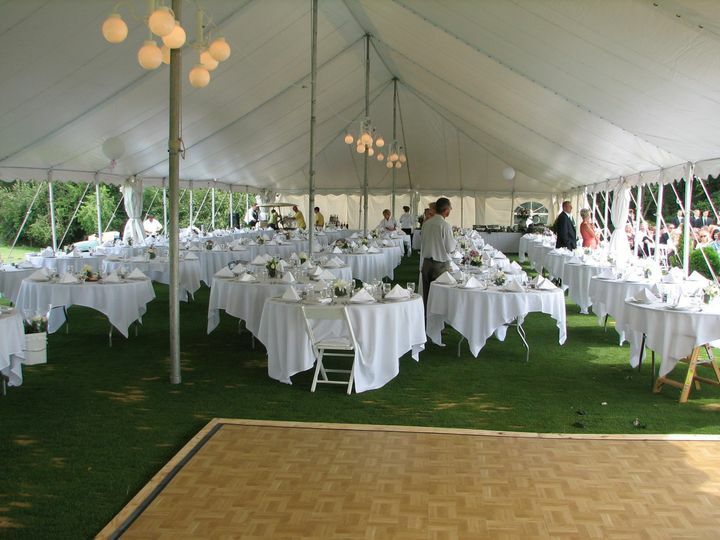 Receptions can also take place outdoors under picturesque white tents. I loved working with Amanda Francis. She was amazing and easy to work with and super friendly. She was willing to do anything for me, including wiping cake off my nose and helping me with my dress after I was in the bathroom! 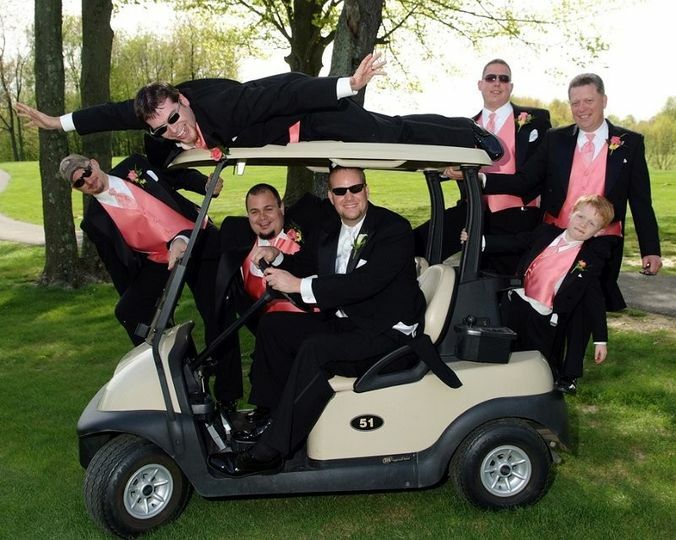 Beautiful place, a d the golf carts with the bridal party was super fun too! Highly recommend! 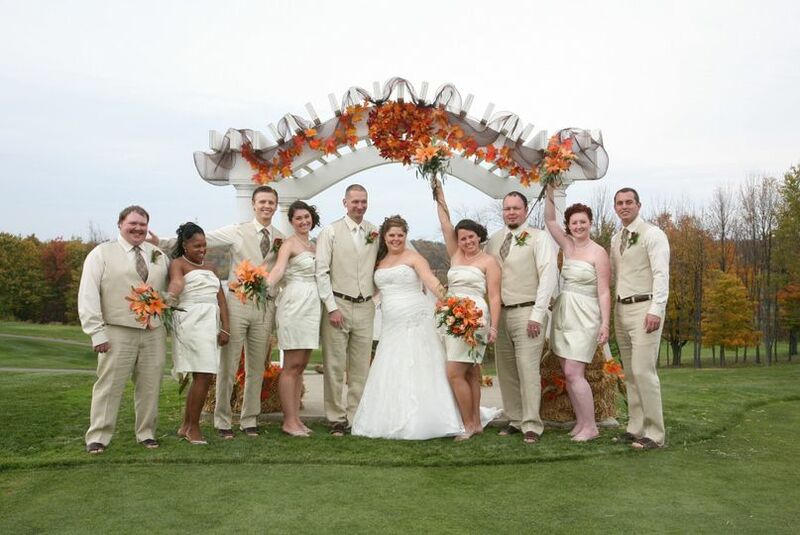 While Deer Ridge was a beautiful venue for our wedding the staff has an extremely poor service attitude. Specifically, their “wedding coordinator”. 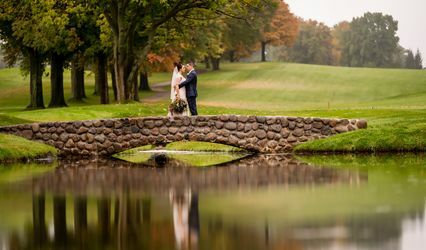 I was lied to about how the condition of the greens would look on the day of our wedding, we were given the wrong food at our reception, and the wedding coordinator was absent from our wedding rehearsal and we were not informed she would not be there until a couple days before. My guests were harassed about their age when trying to get drinks at the bar, accused of being underage. I understand there are laws that need to be followed which is why we paid for two security guards at our reception, the situation was not handled tactfully. When asking for a partial refund of rental chairs and gazebo space as discussed with the wedding coordinator she was rude and would not have the owner call me as requested. I was given a reply email stating she had discussed my concerns with the owner and it was decided I do not deserve a refund, if I needed anything further to email him… This is not how a customer should be treated. 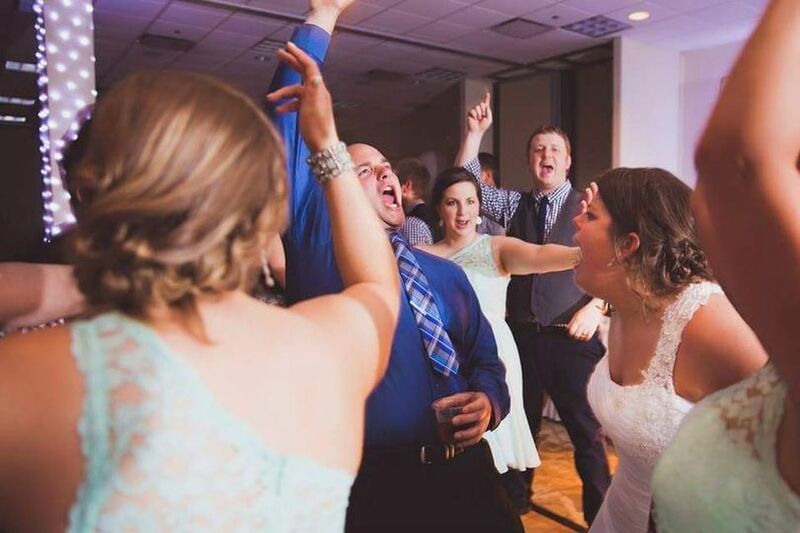 This was my wedding day and it was nothing but a headache! 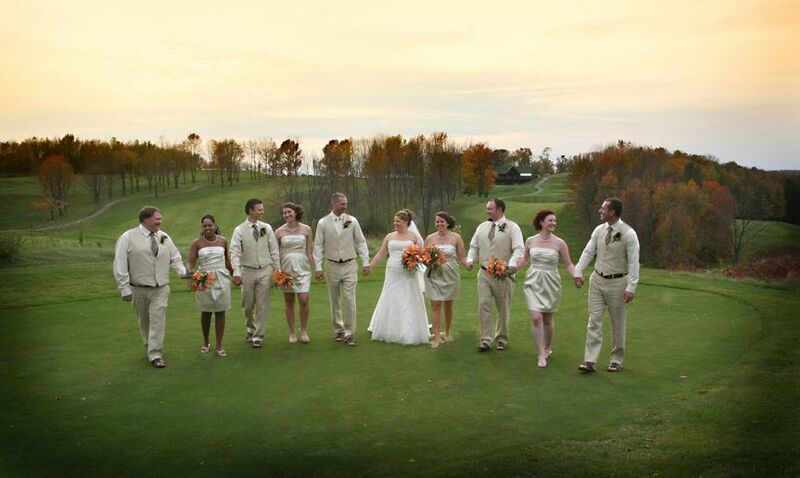 I&apos;ve done several weddings at Deer Ridge. Great place to have a reception, wonderful view, and working with Katherine, the event manager, has been a true joy!